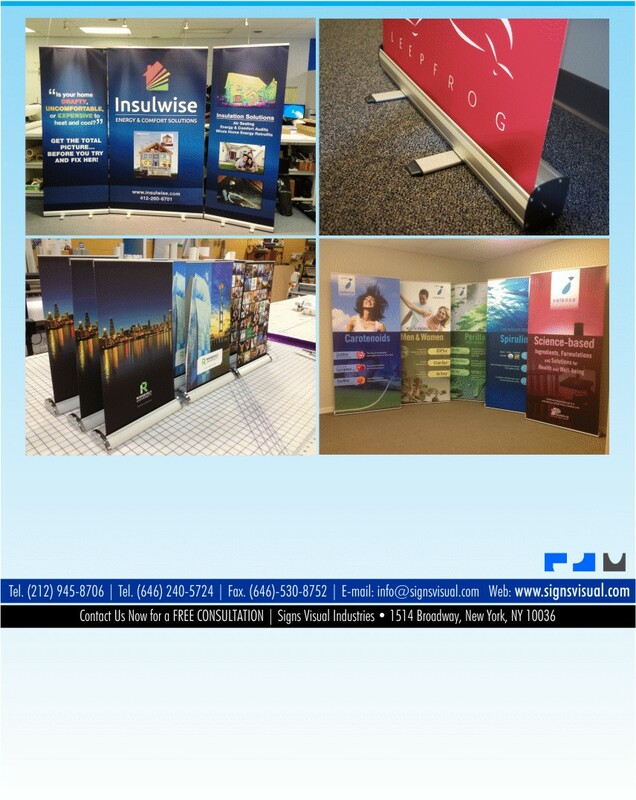 Signs Visual makes custom and standard retractable banner stands in New York City. Our retractable banner stands are typically 3 feet wide x 7 ft tall. These stands are suitable for any event, including corporate meetings, tradeshows, reception event, and more. These stands come with easy self-installing hardware including metal base and pole reinforcement to hold your banner upright. Contact Signs Visual today for a quote on your retractable banner stands in NYC!